In the upcoming school holidays we are going to be maritime archaeologists! Please see the attached flyer (https://tinyurl.com/y9s3zddn) for details. Thursday, 11 October: 10 am - 12 noon. Cost: $5.00 (for this fee you gain entry to the whole Museum on the day). Our program will have lots of interesting and fun activities to help you become a maritime archaeologist. 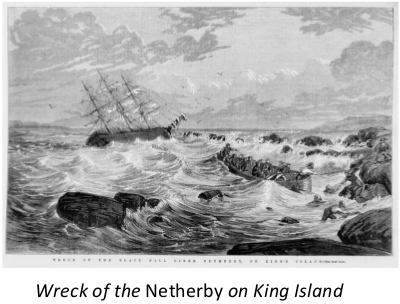 We will talk about some important shipwrecks around Tasmania and what was found on them. We will also have our own ‘shipwreck’ that you will investigate to find and identify interesting and unusual objects. We will have some ‘mystery’ challenges as well as lots of fun activities, stories, drawing and colouring in for the younger ones. More information in the flyer. These programs are popular, so don’t be late in booking in.